Our tree is finally up! It's the first year since we got married that we didn't have it all up in it's beauty the day after Thanksgiving. I couldn't wait any longer!! We spent a few hours yesterday while listening to holiday music on Pandora. You might remember that we have a special tradition in our family that was started by Hubby's uncle. 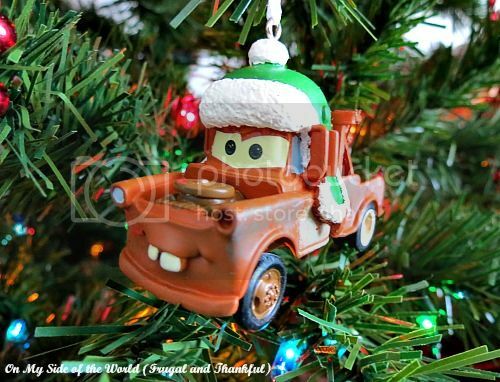 He used to be one of the artists for Hallmark before retiring and every year he would send my husband and each of his siblings an ornament (many of which were created by him). By the time we met, my man had a huge box of fun and special ornaments to put on our first tree. My SIL got it for us last Christmas in memory of Hubby's sweet Grandma who passed away in September of 2012. We miss her a lot and it's such a sweet reminder. 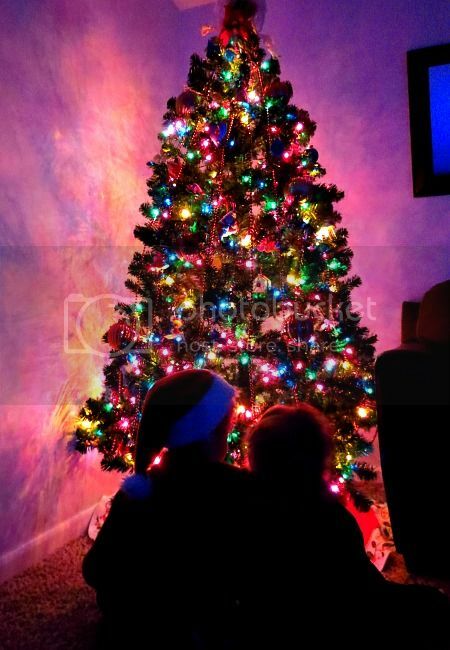 Do you have any special holiday traditions in your home? We have not put our tree up yet, we normally have it up by now too. I also usually have my cards out by December 1st & have not even started them yet. My Mom always got me a special Hallmark ornament every year also & when I got married I had a box full like your hubby. My Mom passed away 14 years ago & those ornaments mean so much to me, there are so many special memories in each one of them. Your tree looks lovely. I like the idea that grandma is also sharing Christmas with you too. Your idea to buy your boys tree decorations from whilst they are young is a very good idea. Might do the same for L and maybe give to her for Christmas as a gift decoration or let her choose on. We are trying to find our own traditions now that L in older. What a beautiful tree. Now onto the baking. We made our first batch of fudge this year and Josh was my helper. He seemed amazed that I have made this every year of my life that I can remember. So pretty! I love having a tree and sitting in the dark with the Christmas tree lights on. Your children and tree are perfect! We will be making cookies and fudge this weekend and going to a Christmas party. Blech. I'm not a Christmas-y sort of person. I know its bad to say. That's one nice looking tree you have there. 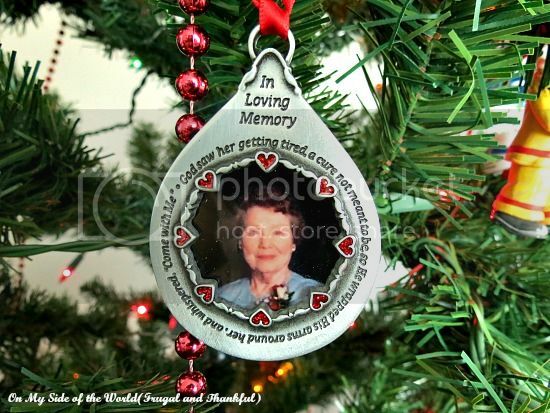 That ornament is a great way to keep loved ones close.